Police held yesterday an anti-drug operation code-named "Mega" in the Gulf of Bristani, Karaburun. Vlora police in cooperation with the Border Police of Vlora, Delta Force and the Italian Guardia di Finanza, based on information received in operational ways, carried out a joint operation by land and sea as a result became possible the discovery and seizure of a significant quantity of cannabis at "Bay Bristani", Karaburun, ready to be trafficked by means of laps to Italy. 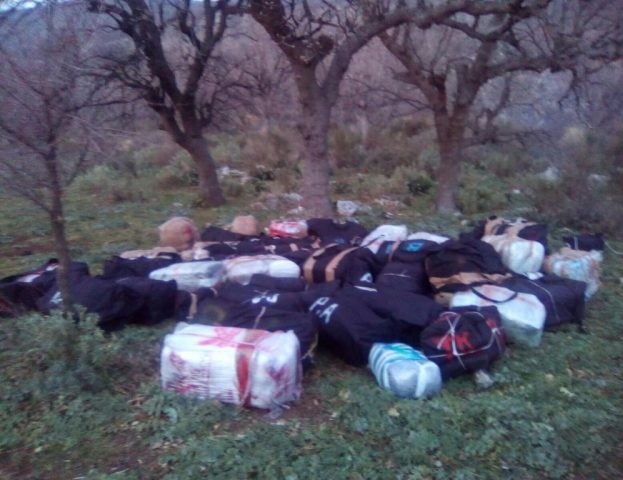 On the basis of this joint operation, police found near the coast, 47 bags filled with narcotics, hidden in three different locations in the woods, about 500 m away from the Gulf of Bristani. The operation is still on the way through controls by land and sea, along the entire extent of the Karaburun Peninsula.